A young lady from Ijero, Ekiti was caught while trying to escape after abandoning her child in a bush in Ofada, Ogun State. 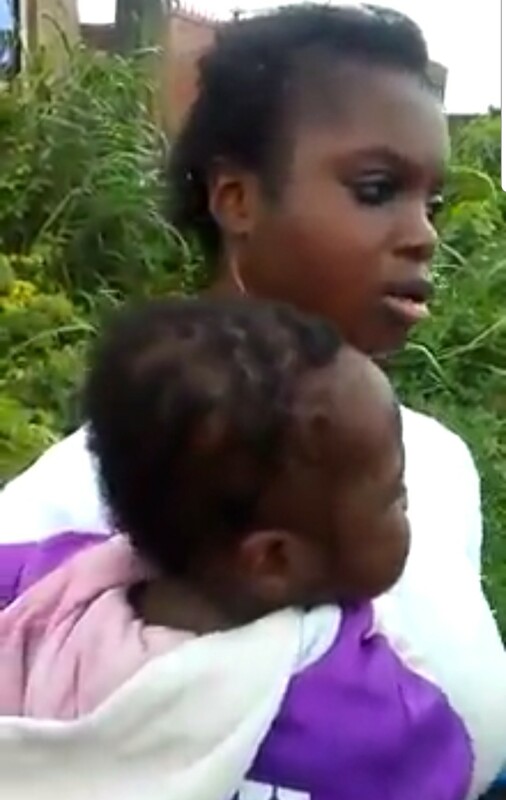 In a video published online, the lady who recently gave birth to twin girls, can be heard saying she arrived Ofada in search of her babies’ father after one of them fell sick. According to the said lady, she met the children’s father, Lukmon, in Ekiti, but hasn’t been in contact with him since she gave birth, as he ran away and changed his phone number.